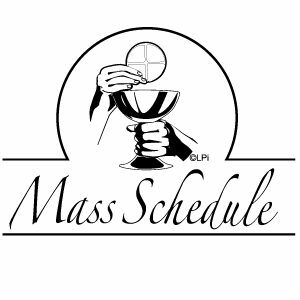 On Holy Days, we may also have Mass at 10:00. Please see the bulletin. On Federal Holidays, only a 9:00 am Mass will be celebrated. Low-gluten hosts are available. Please come to the sacristy before Mass to arrange for one.